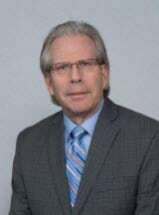 Douglas E. Schwartz received his Juris Doctor degree from Western New England College School of Law, Springfield, Massachusetts in 1983 and his Bachelor of Arts from Franklin & Marshall College, Lancaster, Pennsylvania in 1980. Douglas Schwartz joined the firm in October 2016 after many years practicing with a personal injury firm located in Paterson, New Jersey. Mr. Schwartz's practice areas include all aspects of personal injury law and extend into the areas of workers' compensation, landlord tenant, guardianship & incapacity, real estate and appellate practice. Reported decisions: Quinones v. P.C. Richards & Son, 310 N.J. Super. 63 (App.Div. 1998). Mr. Schwartz serves as a Trustee for the Passaic County Bar Association. He is a member of the New Jersey Bar Association and the Justice Robert L. Clifford Inn of Courts. He serves as a Court Appointed Arbitrator for personal injury cases and has served as a Court Appointed Guardian and Attorney in incapacity matters. Mr. Schwartz is licensed to practice law in the State of New Jersey, the U.S. District Court for the District of New Jersey, and the United States Court of Appeals for the Third Circuit.